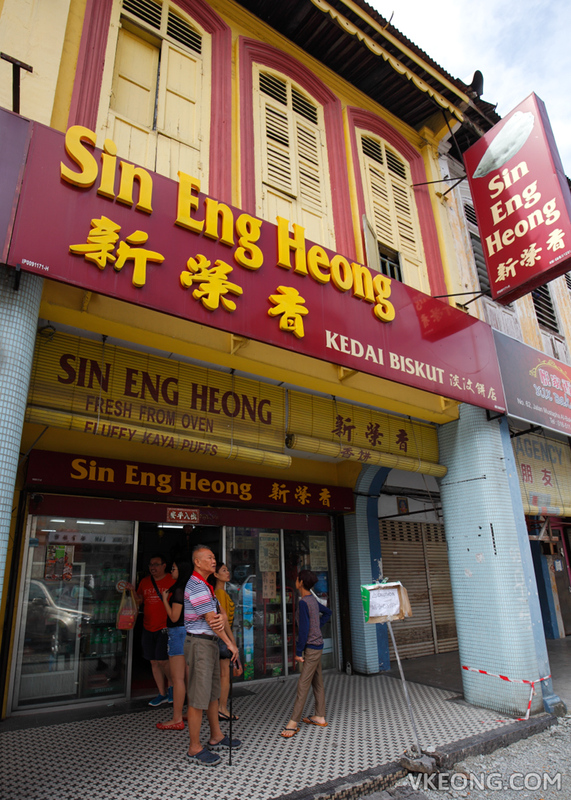 Started in 1961, Sin Eng Heong is one of the oldest biscuit shop in Ipoh. 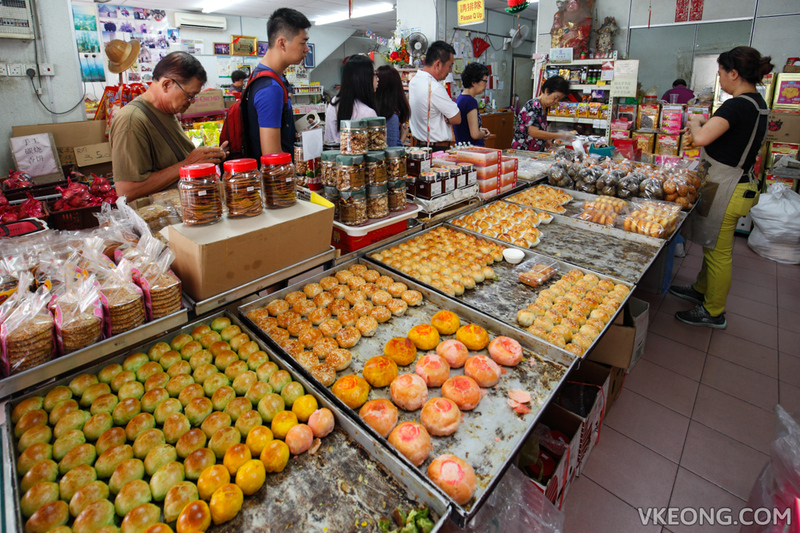 Many would consider a visit to Ipoh incomplete without dropping by Sin Eng Heong to get a box of their legendary Kaya Puff. 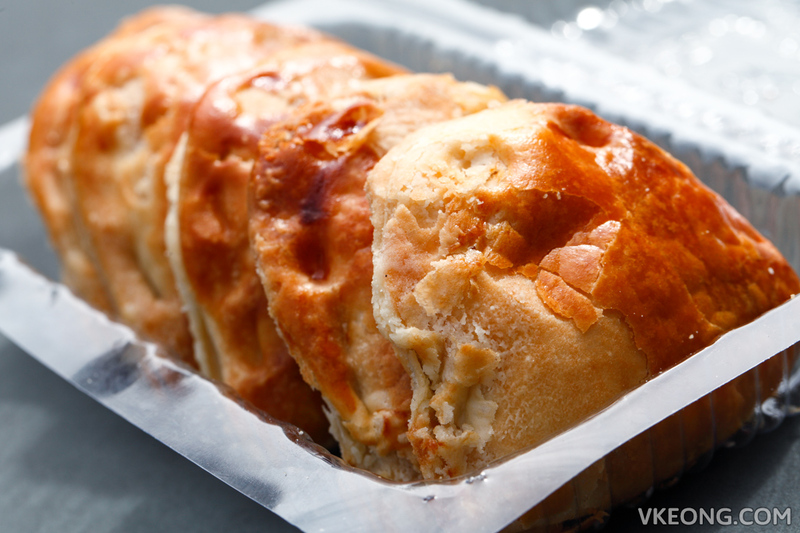 This staple snack is also more fondly known as Kaya Kok by the locals. A couple of long weekends are coming soon and I bet many of you are planning a makan trip to Ipoh. 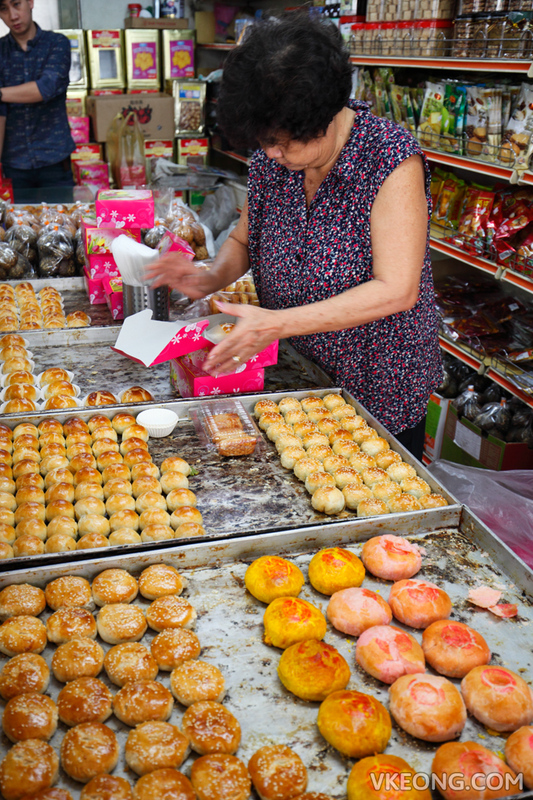 If you haven’t tasted Sin Eng Heong’s kaya puff yet, you are truly missing out on something special. Do get ready to queue for it though. After tasting so many kaya puffs from various bakeries in KL, I can safely say that none of them taste remotely similar to Sin Eng Heong’s. Although a few could produce the same flaky puff pastry texture, there’s something about the kaya filling that they simply couldn’t replicate. Some say it is a tad sweet but if you ask me, kaya IS supposed to be sweet. As long as it’s not cloying and you are not eating the entire box of kaya puff yourself, I think it’s perfectly OK.
Last year, Sin Eng Heong’s kaya puff was priced at 90 cents per piece. But I guess inflation caught up to them so it’s RM1 a piece now. Nonetheless, you would find comfort in knowing that the quality of their kaya puffs still remain the same. 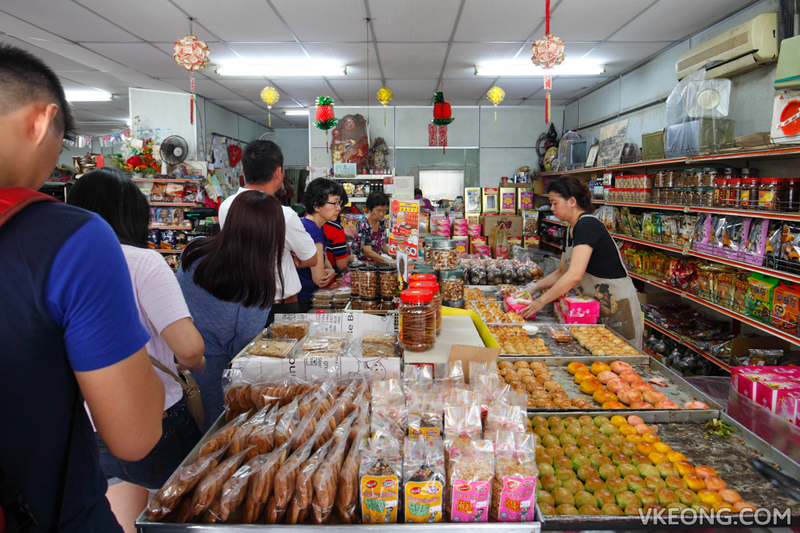 If you totally hate queuing or refuse to buy from Sin Eng Heong for some reason, check out QunKee Biscuit in Kampung Simee. Their kaya puff is as good (better in my opinion) as those you get here. After that you can also visit Fei Ma and try her refreshingly delicious mixed fruit ABC! 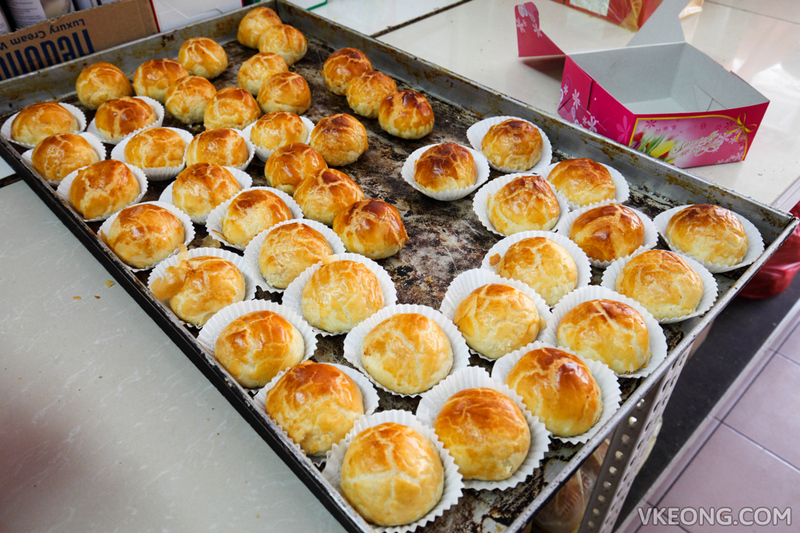 The post Kaya Kok (Kaya Puff) @ Sin Eng Heong, Ipoh appeared first on Malaysia Food & Travel Blog.